The winter of mind-numbing speculation is almost upon us, Reds. Jurgen Klopp has promised offensive recruitments, with only Ben Woodburn available in attack on his bench versus Middlesbrough on Wednesday night. And last night, Liverpool fans flooded Twitter to discuss links to Gabriel Barbosa, or Gabigol, who is contracted to Inter Milan. The 20-year-old joined the Serie A giants in the summer for €28m (Goal), but has barely had a sniff in the top flight – given 16 minutes in total so far. His agent has kicked off and wants his client to leave in January, reports Football Italia. “I talk to him constantly,” Wagner Ribeiro said on Radio Globo. “Everyone knows the salary which Gabriel receives at Inter isn’t sustainable for Santos, no club [in Brazil] can afford him. “I was contacted by a club from Rio and one from Minas to take Gabriel on loan, but I can’t guarantee anything. What I want is for my client to no longer be humiliated. “Why isn’t he playing? Not even Inter can answer that. “When he came from Brazil they said he wasn’t ready physically, but now he’s in great shape. The truth is that they haven’t even given him a chance. 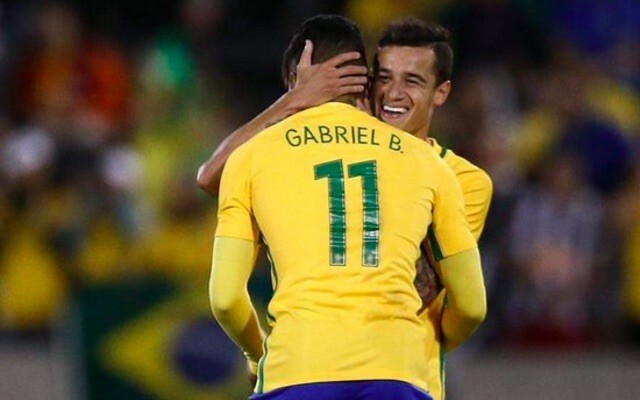 “Gabriel was a starter at Santos, called-up by Brazil and has been an Olympic champion. Then he was sold for an amazing figure. “We’ll resolve this situation in January, he has a five-year contract but that doesn’t mean anything if he isn’t playing. Our very own Coutinho, who plays with the forward in the national team, was once frozen out an Inter too – and proved to be one of the best risks we’ve taken in the transfer market in the Premier League era. The link to Liverpool was first reported by Anfield Edition, who correctly called the news that Loris Karius would be dropped for Simon Mignolet versus ‘Boro before anybody else. On this occasion though, we’re not sure they’ve hit the nail on the head. Is there any truth to this rumour? We don’t think so. From some not entirely over-zealous research, it seems this story is born from fans putting two and two together to get five, rather than a specific source. This isn’t the world’s most twisted logic, but it’s certainly up there – and as far as we can tell – there’s no concrete suggestion Gabigol is on our radar. He’s talented, but he’s a ‘celebrity footballer’, regarded highly by most from YouTube compilations. Will he be willing to come to Liverpool and sit on the bench for a while when he’s already thrown his toys out of the pram in Italy? Probably not. Klopp wants workers; players willing to push the train – not jump aboard. From what we’ve seen, Gabigol is the wrong fit.